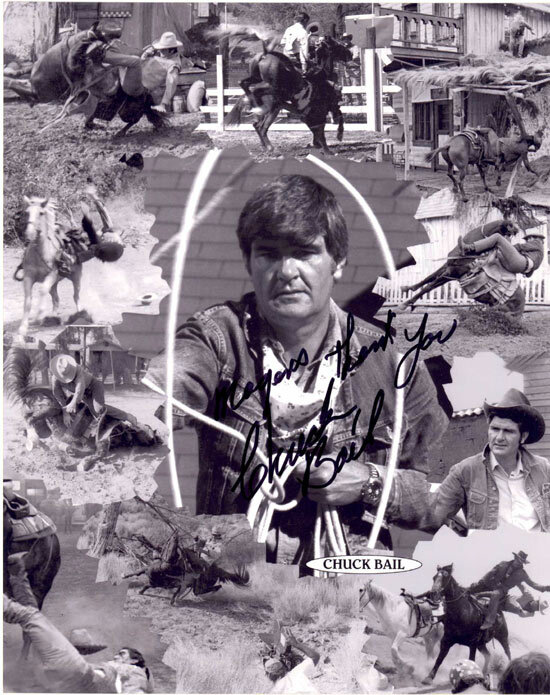 I go way back in my own career with big Chuck Bail, as far back as my days on “High Chaparral” and “Bonanza” when I was just getting started in the stunt profession. He’s one of the best stuntmen as well as one of the nicest and finest men I’ve ever had the pleasure of being around. Chuck’s segue into the business came after he and the Far East Wild West Show he was traveling with got stranded in Bangkok, Thailand, in 1957. The American Embassy shipped everyone connected with the show to L.A. including a stuntman named Bill Couch. 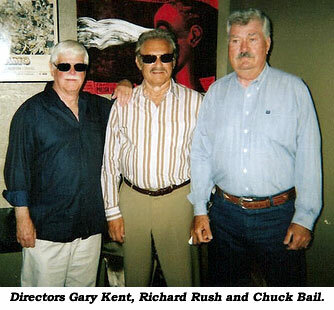 Bill introduced Chuck to his brother, Chuck Couch, a stunt coordinator who convinced Bail to stay in L.A. awhile and give the stunt business a try. It wasn’t long before Chuck Bail was employed on “Wagon Train” with Ward Bond and Robert Horton. Chuck really came into his own doing stunts on Rory Calhoun’s “Texan” series (‘58-‘60). Chuck hounded Reg Parton, Rory’s stunt double, so much Reg finally let Chuck do some saddle falls (getting shot off of horses). Chuck was soon in demand for acting and stunt jobs on such diverse shows as “The Monkees” before settling down to double for Peter Breck on “Big Valley” and Tom Tryon on “Texas John Slaughter” at Disney. Other credits over the years—“Jayhawkers”, “Ballad of a Gunfighter”, “Taggart”, “Glory Guys”, “Winchester 73” (TV version), “Green Berets” and TV’s “Wanted Dead Or Alive”, “Daniel Boone”, “Laredo”, “Kung Fu”. One of his more interesting roles is essentially playing himself in Richard Rush’s “The Stunt Man” (‘80) with Peter O’Toole. Chuck Bail was born in 1935 in Pittsburgh, PA, and would sprout up to an impressive 6' 4", which stood him in good stead not only in films but as a competitive boxer and swimmer during his stint in the Navy. Although established in Hollywood as one of its best stuntmen and coordinators, Chuck decided to branch out into directing, racking up such credits as “Gumball Rally”, “Cleopatra Jones”, “Casino of Gold” and “Greased Lightning”, plus dozens of episodic television series including “Conan”. Chuck now lives in Texas. We recently ran into each other and got to sit down and chat for awhile and reminisce about the good old days in films. Another unsung hero of the stunt profession, Chuck made many an actor look good and most of them a whole lot better than they could ever hope to be. Chuck Bail—ridin’ tall, standin’ tall, givin’ his all!